We publish thousands (yes, thousands) of housing-related charts monthly. On the bright side, most of these charts signal continued growth for housing and the overall economy. However, some charts are a bit frightening. 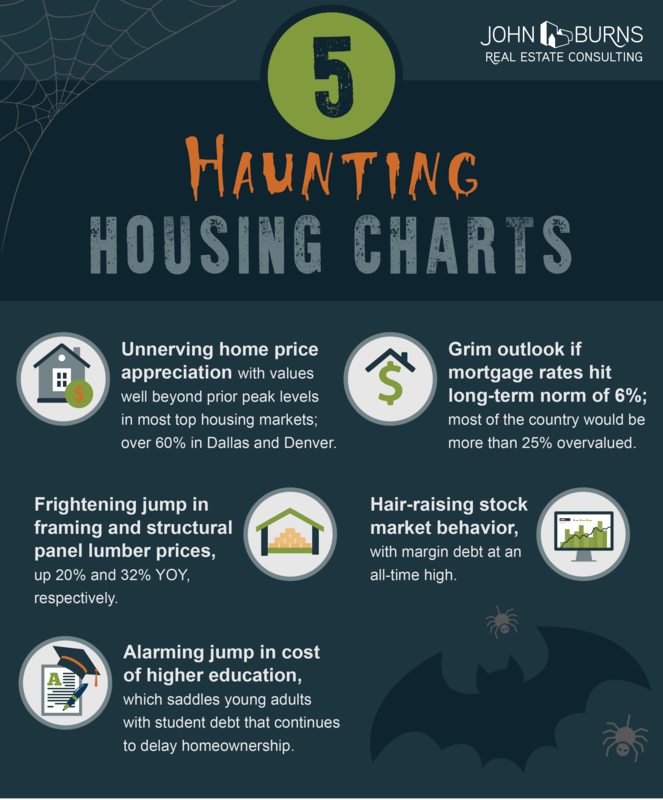 In honor of Halloween, here are our 5 scariest housing charts. 1. 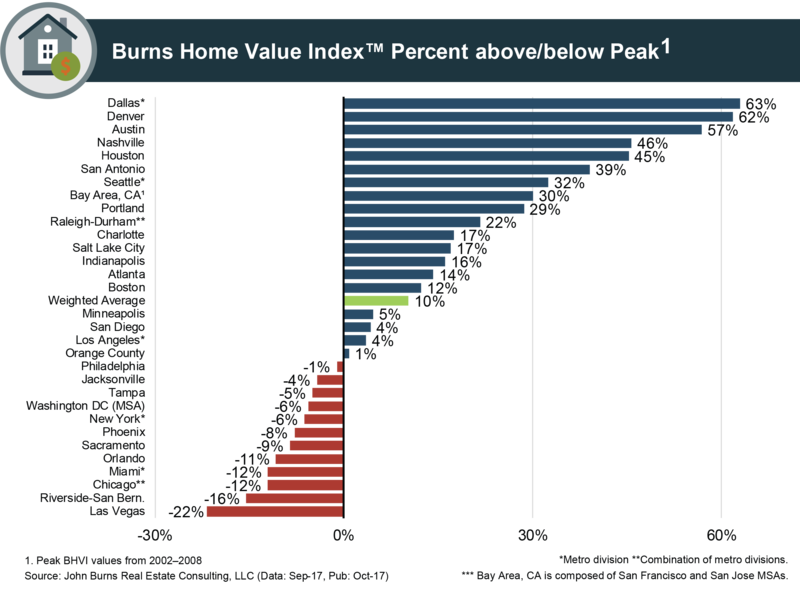 Unnerving home price appreciation with values well beyond prior peak levels in most top housing markets; over 60% in Dallas and Denver. 2. 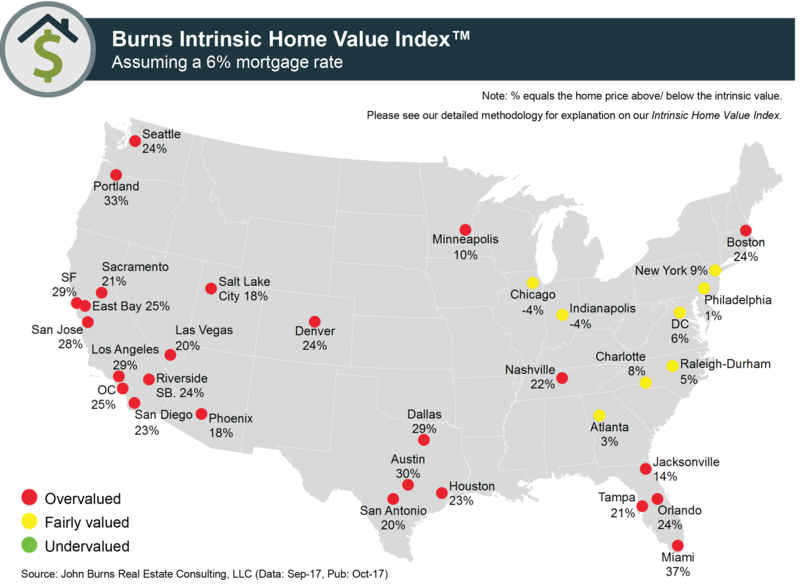 Grim outlook if mortgage rates hit long-term norm of 6%; most of the country would be more than 25% overvalued. 3. 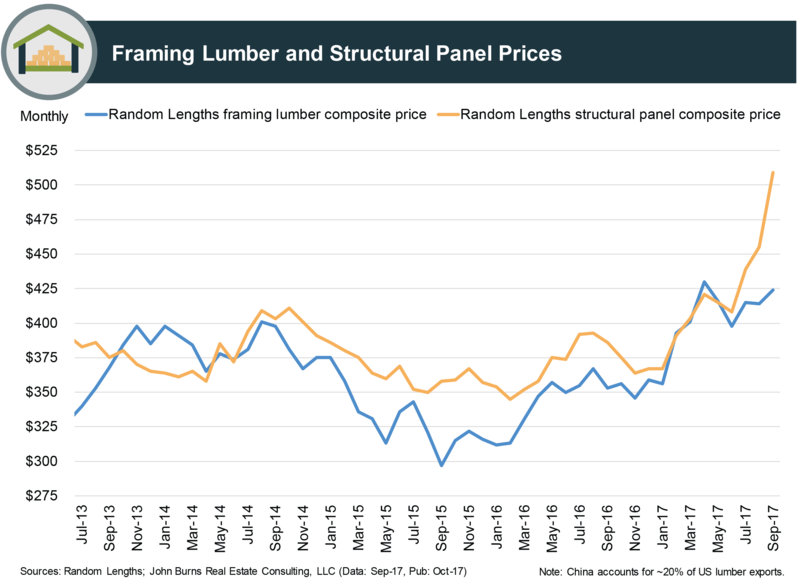 Frightening jump in framing and structural panel lumber prices, up 20% and 32% YOY, respectively. Note that framing accounts for ~20% of home builder construction costs. 4. 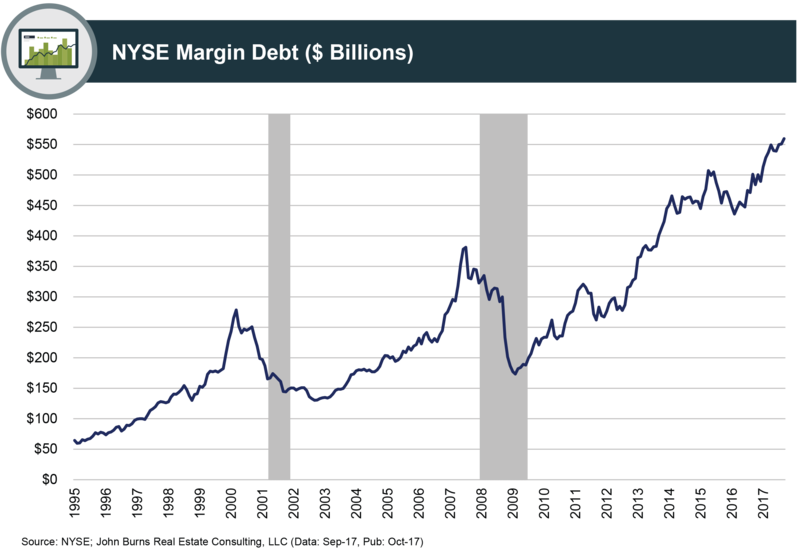 Hair-raising stock market behavior, with margin debt at an all-time high. 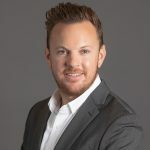 Investors buy stocks on margin by borrowing against their portfolio, without having to cover the entire cost up front. Luxury and vacation home demand is particularly correlated to stock market trends. 5. 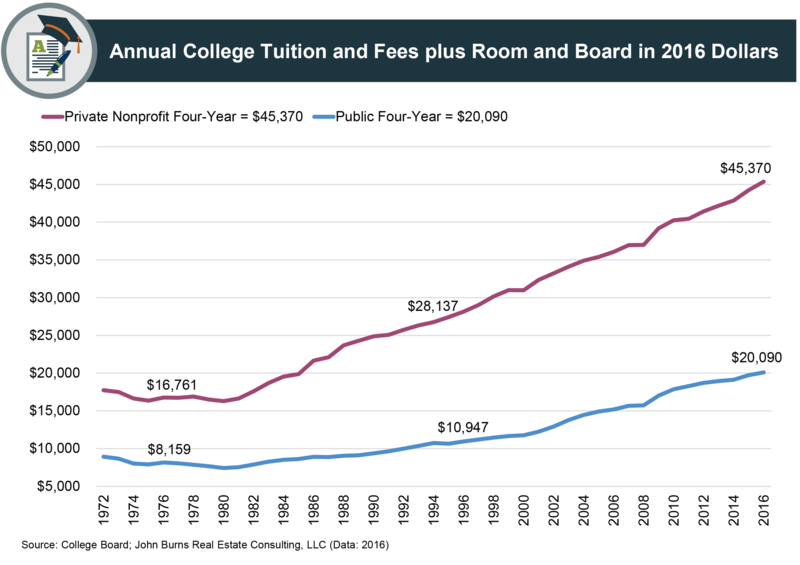 Alarming jump in cost of higher education, which saddles young adults with student debt that continues to delay homeownership.